Title: Olea europaea, Olive. A veteran example. Description: The well known olive has been grown for centuries, especially in Mediterranean countries. 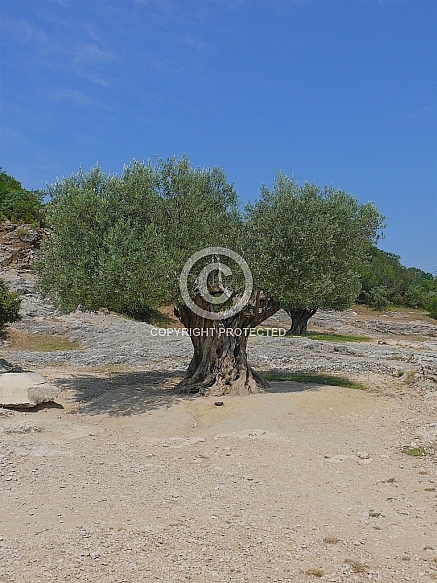 We photographed this veteran tree near the famous Pont du Gard in Provence, France. It is estimated to be more than 150 years old.